In the words of DH Lawrence, being in Cornwall is “like being at a window and Looking out of England”; he wasn’t wrong. Cornwall is one of the best places to travel in the UK and, in my opinion, the best summer holiday destination in Britain. There is an endless amount of attractions that this incredibly unique region has to offer. A rich Celtic history and the birthplace of the UK’s famous legend King Arthur, Cornwall effortlessly blends history with the tranquil ambience of life on the coast, quaint fishing villages and peaceful retreats as well as playing host to some of the worlds most fiercely contested surfing competitions. For me, what really puts it ahead of the rest is Cornwall’s must-see beaches. With 300+ beaches, including some of the very best in the world, the only downside to this remarkable coastline is that one trip is simple not enough! Growing up, I was fortunate enough to spend almost every summer of my childhood, right through to my late teens exploring the South West of England and a lot of the Cornish coastline. 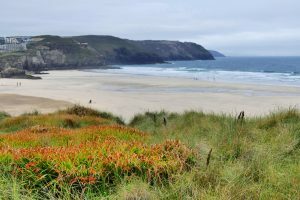 But if you aren’t sure which beaches to prioritize, hopefully my personal favourites list can inspire you to experience the best beaches in Cornwall for yourself on your driving tour of Cornwall. Derived from my cherished childhood memories, below is my personal top 5 best beaches in Cornwall. One of Cornwall’s most popular beaches, Watergate bay is a 2 mile stretch of golden sands and is accompanied by enormous waves out at sea. Its beauty is complimented by its rawness and is an absolute playground for beach lovers of any age. 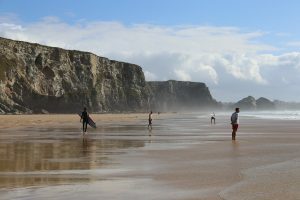 Watergate bay is a popular vacation destination for families, surfers and activity lovers. Whether you enjoy long walks along the beach or thrashing around in the waves, Watergate bay has something to offer for everyone and is one of my absolute favourite beaches on the west coast of Cornwall. Godrevy Hayle, St Ives, south west coast. Less known than Watergate bay but by no means less beautiful. Set on the far end of St Ives, Godrevy is a stunning beach and an outdoor lovers paradise. The Godrevy lighthouse was the inspiration to Virginia Woolf’s novel ‘The Lighthouse’ and is a perfect day out for families, surfers, beach lovers and romantics alike. Godrevy is a must visit Cornish beach. One of the most natural and untouched beaches in Cornwall, St Agnes is a relatively undiscovered gem. Spectacular cliff walks and stunning sea views, the beach is the beating heart of this small, proud town. The beach draws a host of exciting wildlife including bottlenose dolphins and grey seals as well as attracting a lot of surfers. A lot smaller than the two mentioned above, but of all the beaches me and my family spent time at, St Agnes was our go-to choice. Situated 1 mile east of St Agnes, Perranporth is king of the North coast and is one of Cornwall’s most famous and popular beaches. At low tide Perranporth (also known as Perren Sands) is very big, and although the beach is popular with locals and holiday makers, there is more than enough room for everyone. The beach is also home to the UK’s only real beach bar- in that the bar is literally on the beach! Boasting a unique rock formation, vast amounts of space, great surf and its very own pub, Perranporth is the very best of the west coast. Another unknown, and my Mothers childhood favourite. Tregirls harbour cove is a haven for those wanting to get away from it all. With fewer visitors than Cornwall’s popular beaches, Tregirls is an unspoiled gem. What it lacks in facilities and waves, it more than makes up for with its beauty. The beach offers plenty of space, stunning views of the bay and is ideal for those looking for a peaceful escape. So there it is; my personally selected top 5 best beaches in Cornwall all based on my personal experience. Each of these beaches have provided me with memories I will cherish for a lifetime. Whatever your preference, a tour of the Cornish coastline is one of the most exciting tours you can do and is home to the best beaches in the country. Touring Cornwall by car is probably the best way to explore this beautiful coastal region and it’s hidden beaches, why not take our Cornish road-trip on our “Road to Cornwall Tour“. 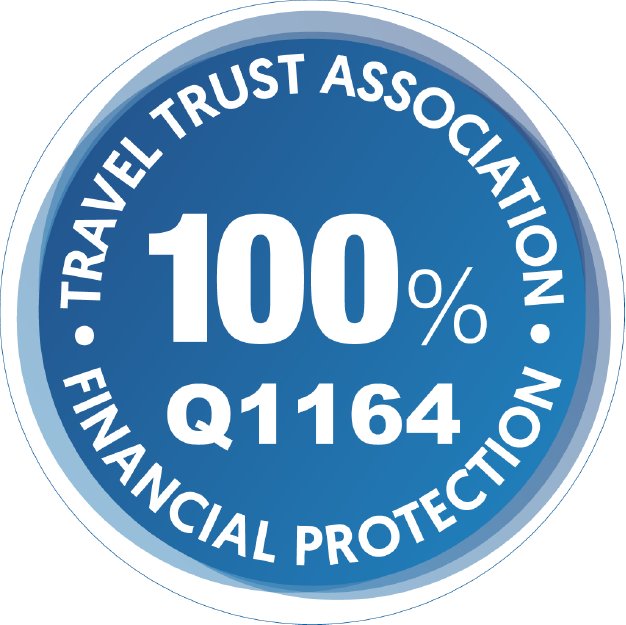 Alternatively visit on our small-group itinerary, the Corners of Cornwall Tour or our escorted coach tour, the Best of Devon and Cornwall Tour.